Sat., May 26, 2018, 9:07 a.m.
PORTLAND, Maine – A buyer with a penchant for vintage denim has plunked down nearly $100,000 for a pair of truly vintage jeans that come from the American Old West. The price puts it near record territory for old Levis. But the private sale agreement prevents Soules from disclosing the exact price or the buyer’s location, he said. The buyer sent a representative to Maine to inspect the jeans before buying them on May 15, he said. There’s no mystery behind the jeans. 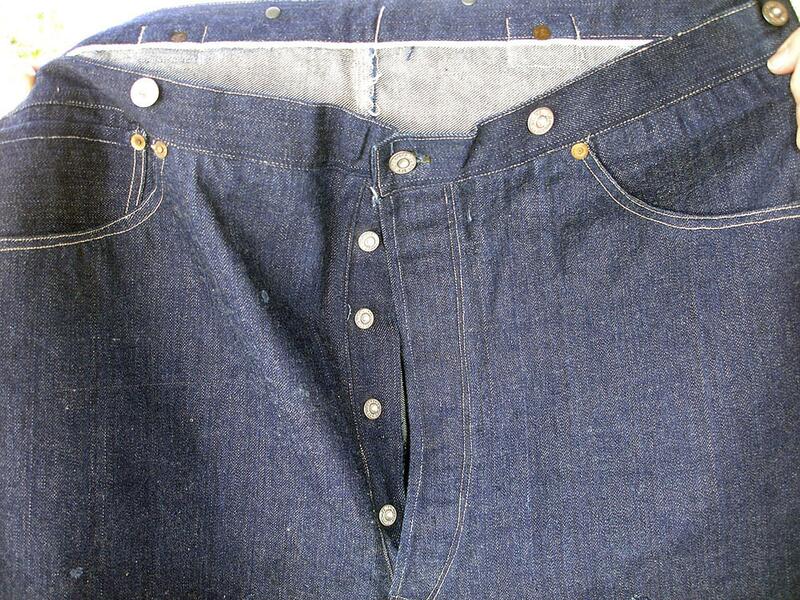 The denim was produced at a mill in New Hampshire, and the jeans were manufactured by Levi’s in San Francisco. Unlike modern Levis, the jeans in those days had only a single back pocket. There were no belt loops because men used suspenders back then. They’d been stored for decades in a trunk and were in pristine condition because Warner wore them only a few times before falling ill, Soules said. There’s a market for rare jeans. Published: May 26, 2018, 9:07 a.m.